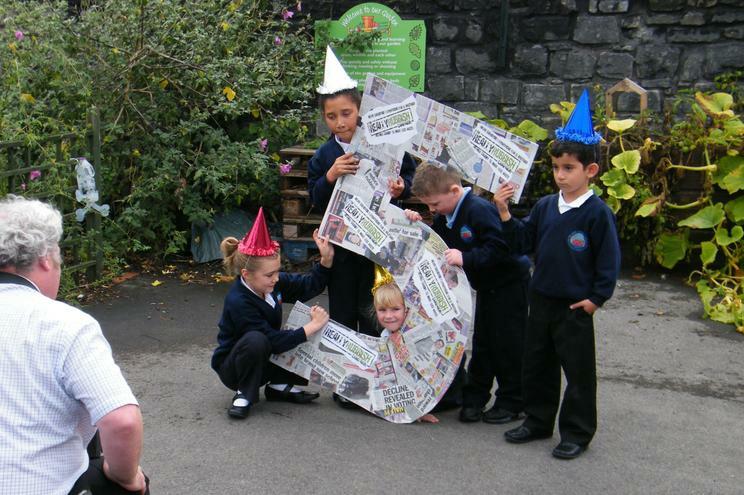 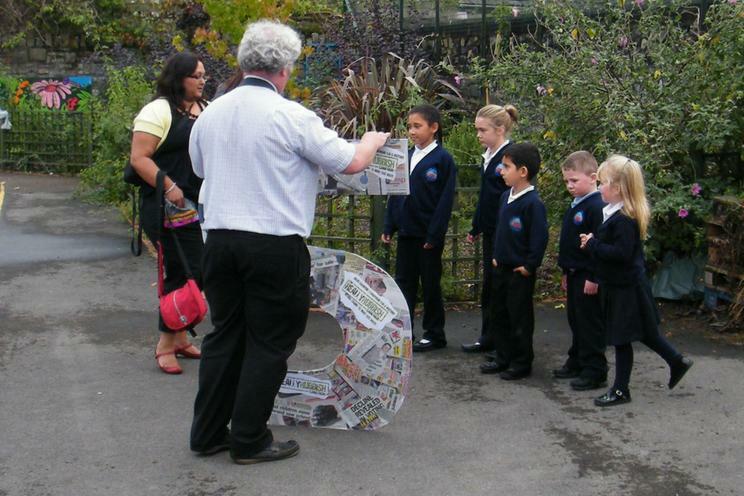 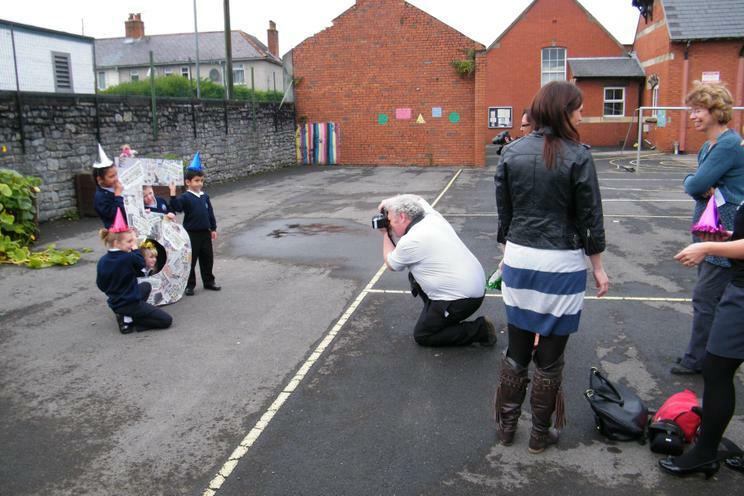 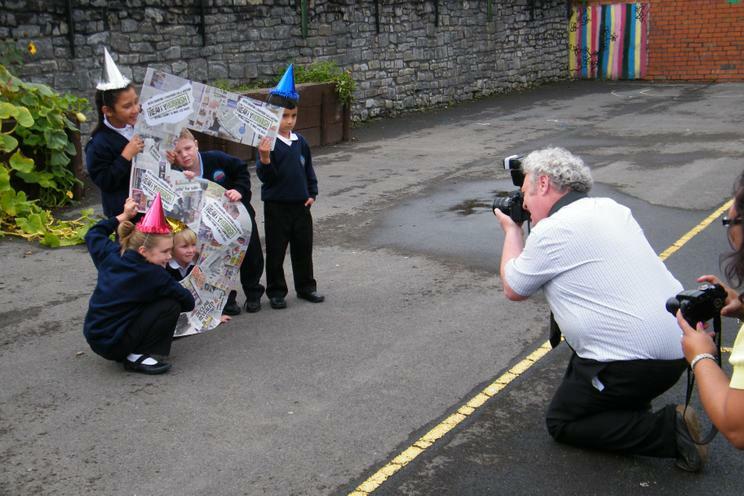 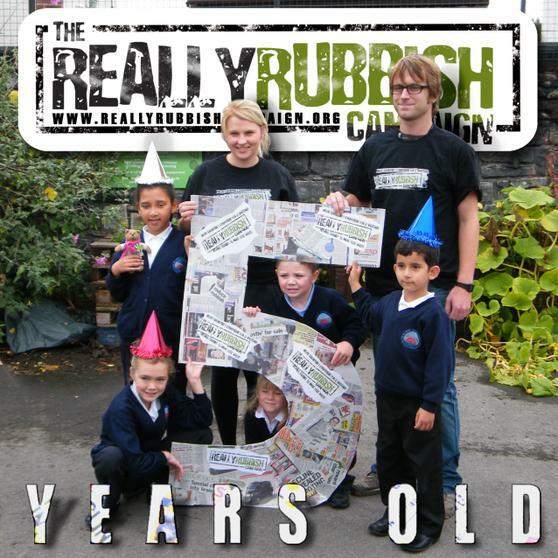 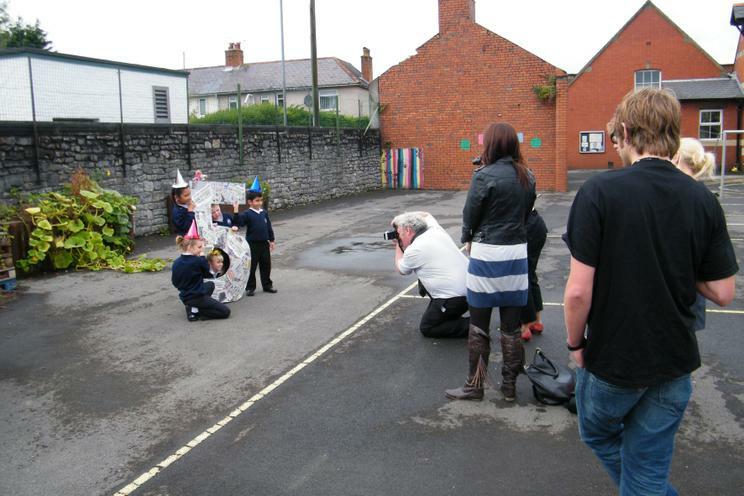 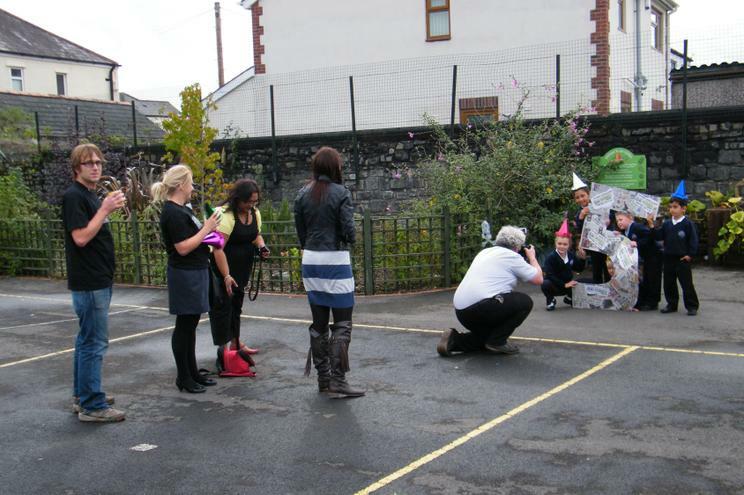 We were delighted to help the REALLY RUBBISH team celebrate their 5th Birthday in September when they visited the school for a few photos.The team was set up to encourage recycling and environmental issues amongst young people. 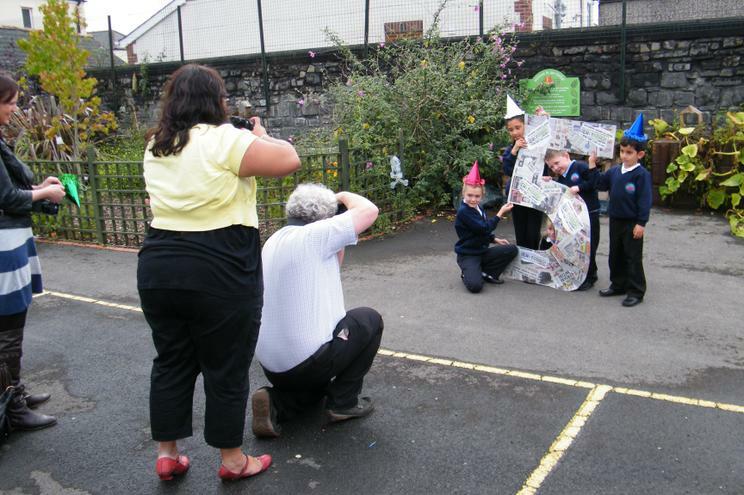 You can see some of the photos and video salvaged from the old website in the 2005 gallery here with Mrs Burnett & Mrs Brown. 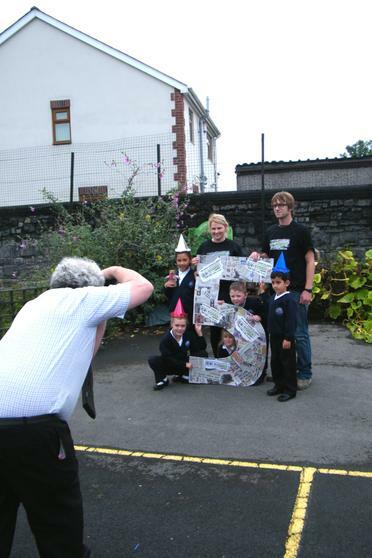 Or later on when past pupils Alex and Bronwen planted a Tree at the parc near Lamby Way,together with the Echo article that tells you about the 8 other school that started with us. 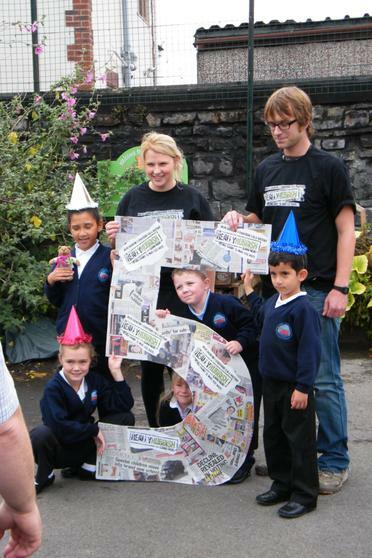 The Gregory Brothers did a tour in 2008 combining the recycle message with Road Safety and plenty of songs that the children sang for weeks after. 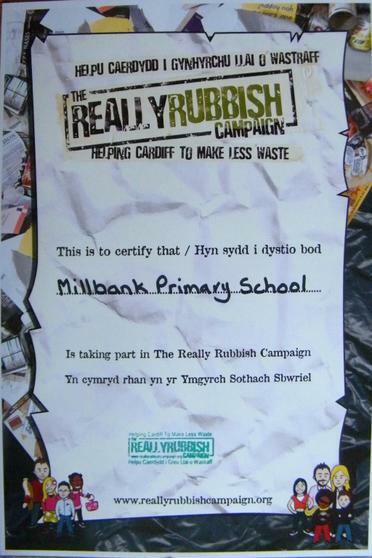 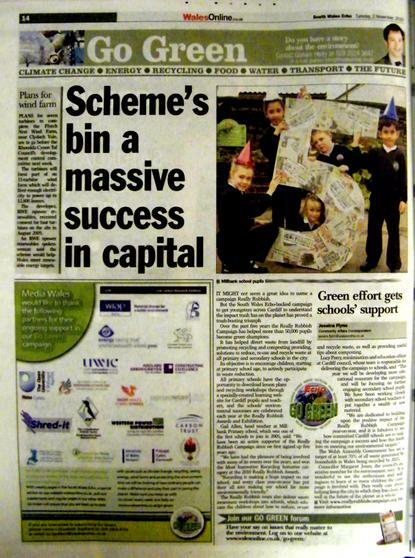 You can also see the REALLY RUBBISH AWARD CEREMONY which we attended in June 2010.